2015 Eagle Eye to the World has Opened! Welcome to the 2015 Eagle Eye to the World Global project where we will follow the journey of two bald eagles, Liberty and Justice. We will observe their life with two cameras stationed by their nest. We will watch them build their nest, lay an egg(s), and work to keep everyone alive. We start the project in January and this will last until March. Feel free to reach out, join us, or just bounce in and out. There are many ways to get involved so check out the pages and see where you can help. The end goal is to have an amazing resource on bald eagles created by students and people from around the world. Make sure to register your class before 2014 ends so we can get ready for another amazing year. We have many new project ideas ready to launch! Global Collaboration Projects are Unveiled! It has been sometime since I have last posted here on the blog. Things are going as fast as the development and growth of Rudy. Ever since the beginning of the year we have had students from all over the world connected using tools like Edmodo, blogs, Google Hangouts, Voicethread, and other tools to help share the power in watching and observing the ALCOA Bald Eagle Nest. The last few months students have been working to connect and make a global collaborative project. This is not as easy as it sounds. I know we read all the time about technology and how simple it is, but there are many factors that come into play. Despite these factors the teachers and students involved in this project (you can check them out here) made it happen. It has been a pleasure and honor to work with so many amazing educators and students. This is only the second year of doing this project and once again I have learned so much. I will be sharing these thoughts soon, but today I want to unveil the projects created by the kids. They used their research, their voices, and their artwork to showcase to the world what they have learned. We have students from kindergarten on up to 5th grade represented. If you go to our project page and on the menu locate Student Pages you will see several categories. Each category has Voicethreads created by the students. These are voices from all the classrooms. I would love for you to take a listen and to provide any feedback you can. I am always striving to improve as a leader of this project, but more importantly it is vital that these students understand their voices are being heard by the world. I will share it all with the teachers so the students can gain feedback as well. I have a few more things I will be sharing as we continue to watch Rudy grow and test the boundaries of the nest. Our Eaglet Has Arrived! Let the Journey Begin! After a very rough winter and the loss of one egg, we have some great news. 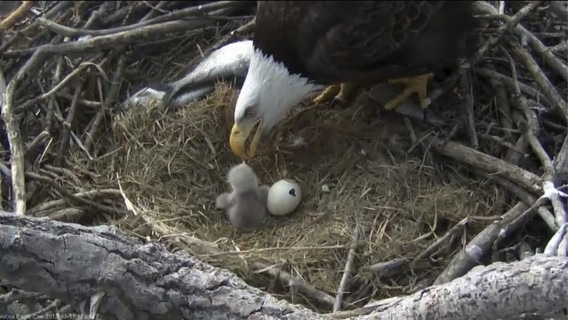 Yesterday a little bit after 10:30 am we were able to catch a glimpse of the next generation of the ALCOA nest. It has felt like we have waited forever for this moment. I don’t know if it was just me, but after seeing all the other eagle nest have eggs hatch it was just making me that much more nervous. Yesterday was a great day. Starting on April 1st we saw the first signs of a clear pip begin. 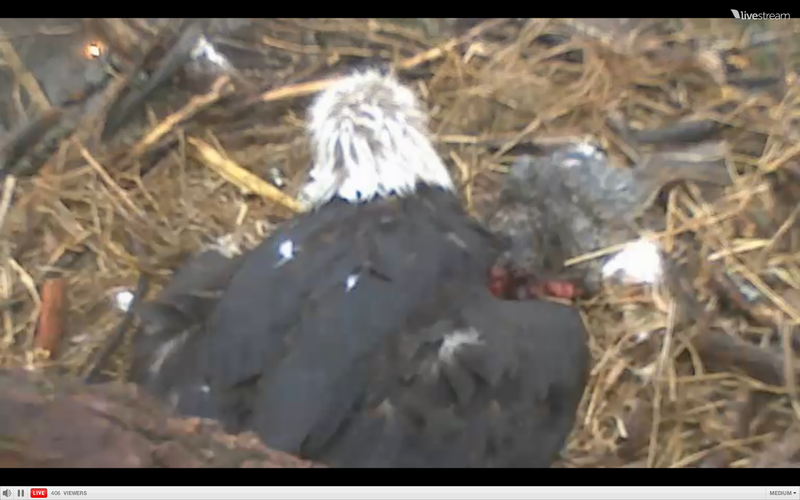 It takes a lot of work for the eaglet to use the tooth on their beak to break through. The amount of energy is quite a bit. As they work to get the pip going they will continue down the line almost like peeling open a lid to a jar. Then comes the process of kicking their way out. When they do emerge the look like death because they are exhausted. There is enough food from the egg that they don’t have to eat right away, but as you watched yesterday they do begin to eat. Liberty and Justice are dynamite parents who have spent time hunting and feeding the little one. One of the things that we tried to do last year and would like to do again this year is document the amount of food brought to the nest. There are days where they bring in so much. It is fun to identify what type of food they bring in as well. Our goal is to document images each day with any interesting notes along with food brought to the nest. This is something that requires the help of everyone in the project, watching the camera, and posting elsewhere. The great thing about doing this is that the next year we have this database of information to compare. We don’t know how long we will have the nest and this opportunity and I want to make sure we capture as much as we can. If you are interested in helping feel free to join the wiki and edit and add to the pages as you see fit. The students are excited and now the fun begins. 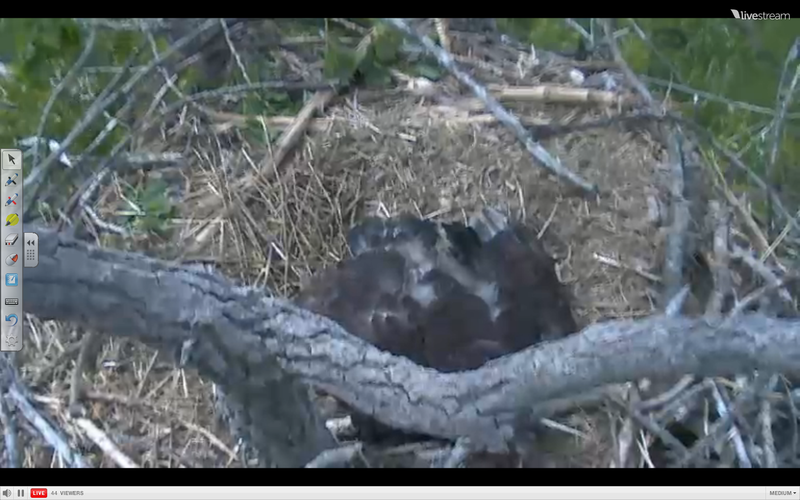 The eaglet will grow up so fast and the journey is so fascinating to watch. With only one eaglet we won’t have to watch the sibling bonk and hit each other so this will be interesting for me personally to watch how things are different with only one eaglet. Last we have a video from one of our classes in Florida who captured some feeding yesterday in case you missed it. Enjoy and blog posts will be more frequent as things develop. 1st graders from Jacksonville, Florida are AWESOME!! I want to share about some AWESOME students and kids who are in first grade in Martin J Gottlieb Day School located in Jacksonville, Florida. This wonderful group of students and AMAZING art teacher Mrs. Gutterman are doing some really cool things in class. My first thought is how cool to integrate the eagles at this young age as well as art class. These students have been doing some cool projects with art as well as keeping eagle journals. I wanted to share this short video as well as some images that Mrs. Gutterman shared with me. This is a great start to the week and if these kids don’t put a smile on your face, then I don’t know what will. Here is the power of an eagle camera. We will be sharing more soon. Thanks to Pamela Lewis and Shannon McVearry and Shana Gutternman for all of their hard work to help these students learn and see the world in a new way. Liberty And Justice from MJGDS Classrooms on Vimeo. What is next for the students? The Popplet, their art and more activities will be turned into a 30 hands presentation. Can you say SWEET! I love the energy and excitement from this class and teacher. This is better than coffee! Liberty and Justice have lost an egg. I know this is nature. I know these are eagles and we are watching reality television without a script or prompts. I know this is an animal. However, some of us have watched Liberty and Justice for years. They are more than just “eagles”. They are animals that remind us of the joys of life. They struggled through the snow, wind, temperatures, and just plain survival. Through the camera we are able to watch, study, connect, and learn. When I started this global project I knew the risk that things would not always turn out beautiful and perfect. You go into these things hoping for the best. You watch the beauty and majestic wonders of bald eagles. We are able to connect with people from all over the world to share our concerns, our stresses, and joys when they hatch, develop, and grow into adulthood. Along the way friendships are formed, recipes shared, and life stories begin to unfold. When it comes to the global education project students connect from all over the world to study eagles, but more importantly learn 21st century skills as well as knock down the four cement walls of their classroom to learn from amazing students educators located hundred to thousands of miles away. Today we are hit with hardship of one egg being lost. As we watched the parents work to hope that it was not true they still sat on the egg, rolled it, and in some ways were in denial of the truth. Finally, they have come to accept the fate of the egg. What is weird is that I was crafting a completely different type of blog post when I heard the news. It has been a while since I posted due to a crazy schedule. I was tweaking a podcast as well to post today, but neither one really seems right to post. Today we are hit with the realities of life. I look at this moment as a learning opportunity. Life is not perfect. Life is not fair. If everything was easy and perfect, then we would never realize what joy would really feel like. The upside is that we have one egg. We have two eagles that know how to survive through the rough conditions. They have had great success in the long-term. It reminds me that we must always work hard and not settle. We never know when our time is up nor do we know the outcomes. What we can control is how we deal with adversity. I am reading some books that really connect with this mindset as I write this that are clicking together right now. The Champion’s Mind and The Art of Learning. Reading these, dealing with the egg, and watching our high school basketball team fall short of a dream of theirs reminds me that through loss we can learn so much. 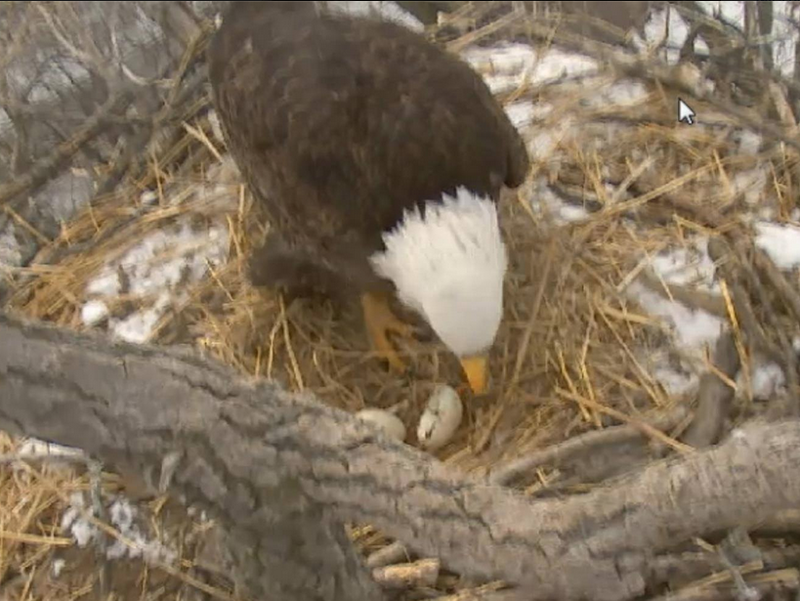 As we continue to watch the camera we will see two eagles stay the course, work hard to protect the other egg, and not give up. They won’t throw in the towel. They won’t fly away to warmer conditions. They won’t just call it quits. They will stay in the nest along with the cold, wind, and terrible conditions winter has brought. They will give all they have to ensure the egg has what it deserves to hatch. Will it hatch? There is no guarantee, but without hard work and determination all hope is lost. Take this to reflect on your own life. Don’t give up. Stay strong when life throws you curveballs. Through it all there is always a light at the end of the tunnel. 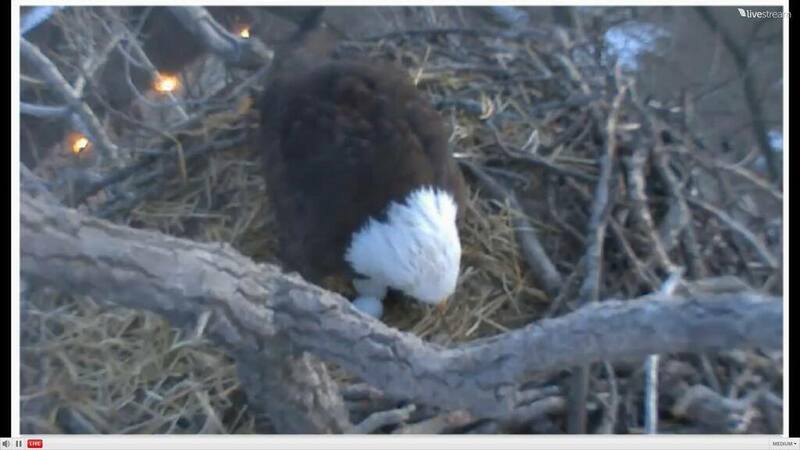 In a few short weeks I hope that light is an eaglet ready to enter this world! As we have young students watching please let me know what questions or thoughts that you have. I am sure this won’t be easy for some of our young classrooms to understand or make sense of. The power of the community is what will help turn this into a great learning opportunity. I captured a bit of footage of Liberty and Justice trying to deal with all the eagles in the area. Never a dull moment. Another egg is now in the nest. In case you missed we have amazing people on watch 24/7 to grab all we need! This image was snagged by an avid eagle watcher Carolyn. Will we be blessed with a third egg? The third egg is not common, but we did have three eggs a few years back. Now they will work hard to keep those eggs warm. We have had cold temperature here in Iowa in the below zero range when you include windchill. 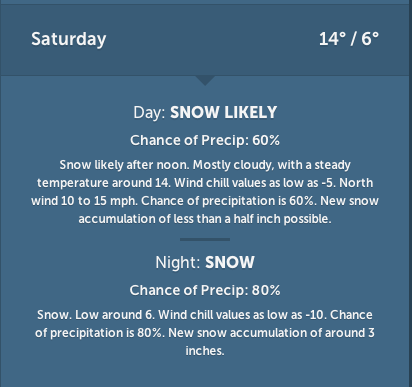 We are expected to get more snow, but not as much as expected. Saturday they are thinking an inch or less, but more as night settles. I have hope that the weather will be nice for our eagles(fingers crossed). The good thing is that Liberty and Justice and all the other eagles have endured worse this winter so this won’t seem like such a big deal to them. Continue to watch the nest. There seems to be much more activity around the nest than previous years(this is my personal opinion so don’t take it as fact). On 2.26.14 there was all sorts of excitement as juvies decided to be a bit of a pain. They kept flying by creating a ruckus. Liberty was not happy at all and was screeching like crazy. I was I had my recording equipment to screencast, but I did not. Next time. I did however snag one shot of a juvie flying by on my phone. 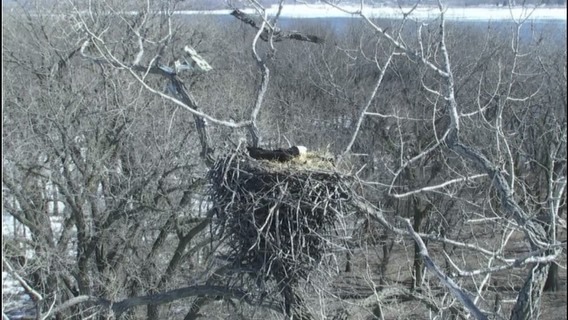 We will have to watch the nest this weekend and see how they do with the snow, wind, and cold.